Nails of the week. Or should I say day... Sadly as gorgeous as this polish is, it's chips horribly. This half lovely half irritating polish if from Forever 21, i bought it on holiday in NY for $2.80 which is pretty cheap. that’s what I call N-E-O-N! wow this nail polish looks great. 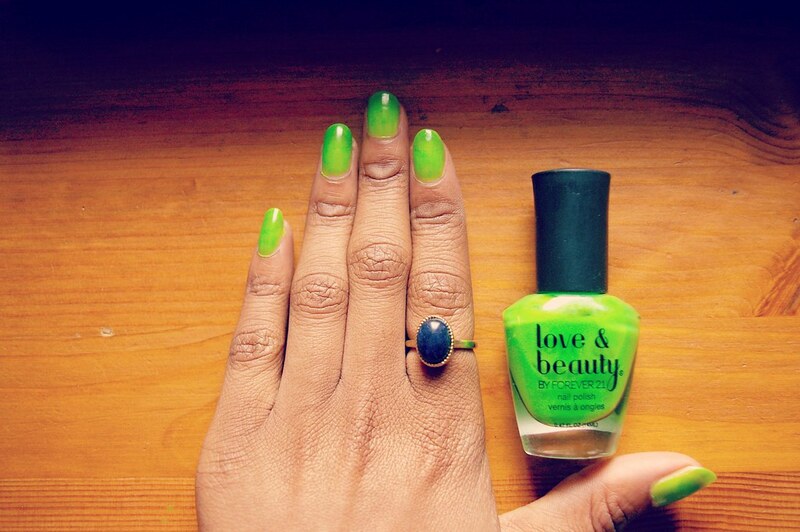 perfect neon green. it looks like an ombre effect!! How many coats did you use? I have a cheap Forever21 Nail polish and it last for a few days without chipping. Btw I LOVE LOVE LOVE your hair!! Afro Envy to say the least!